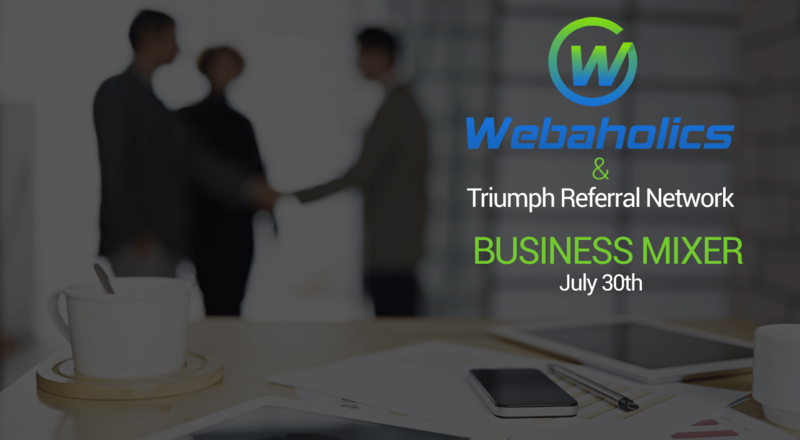 Webaholics is getting ready to host a business mixer with our partners at the Triumph Referral Network on July 30th! If you want more info on this special event, follow Webaholics and the Triumph Referral Network on Facebook. More news to come so stay tuned!